Now here’s an idea for special Sunday brunch. This torta is layered with slices of Yukon Gold potatoes, smoked salmon, and sautéed leeks, and bound with a dill seasoned custard of eggs and cream. It’s sort of like frittata meets quiche meets Spanish tortilla. The torta has more structure than a frittata, it is sturdier than a quiche, it’s more delicately flavored than the tortilla. Like best friends in a sandbox, smoked salmon, leeks, potatoes, and dill play well together! They especially enjoy each other’s company in this recipe. The torta can be served warm or room temperature. You can make it ahead and reheat to serve. Leftovers (I doubt you’ll have any!) keep well for days. 1 Boil the potatoes: Put the potatoes in a saucepan, cover with cold water by an inch. Add 2 teaspoons salt to the water. Bring to a boil and cook until the potatoes are easily pierced with the tines of a fork, 10 to 15 minutes. When done, remove the potatoes from the pot and let sit to cool to room temp. 2 Cook the leeks in butter: While the potatoes are cooking, start on the leeks. Melt the butter in a small sauté pan on medium heat. Add the sliced leeks and toss to coat with the butter. Let cook until softened, about 8 to 10 minutes. Do not let the leeks brown or dry out. Remove from heat. 3 Make egg leek mixture: Whisk the eggs in a medium bowl. Whisk in the salt, dill and heavy cream. Whisk in the cooked leeks. 4 Prepare pan: Butter the insides of the springform pan or cake pan. Line the bottom of the pan with a round of parchment paper. Butter the top of the paper as well. 5 Slice potatoes, preheat oven: Slice the cooked, cooled potatoes into 1/8-inch thick rounds. Preheat oven to 350°F. 7 Add a layer of smoked salmon slices: Spread half of the smoked salmon slices on top of the potato slices. 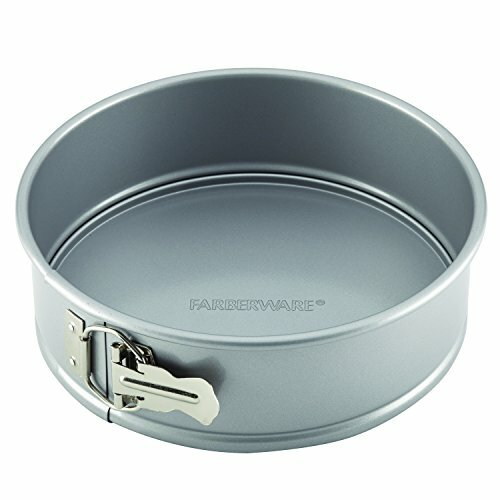 If you are using a springform pan, wrap the outside of the pan tightly with foil to prevent leakage in the next step. 8 Add a third of egg mixture, continue layering potatoes and salmon: Spread a third of the leek and egg mixture over the potatoes and salmon in the pan. Then lay down another layer of potatoes and smoked salmon. Add another third of the egg and leek mixture. Line the top of the torta with the rest of the potato slices and cover with the remaining egg mixture. 9 Bake: Place in the oven (if using a springform pan, place foil wrapped pan on top of a rimmed baking sheet in case the foil leaks) and bake at 350°F for 30 minutes, until set and a knife inserted in the center comes out clean. Remove from oven and run a blunt knife around the edges of the pan to gently separate the torta from the pan while it's still warm. Let cool to lightly warm or room temperature before slicing and serving. Hello! All photos and content are copyright protected. Please do not use our photos without prior written permission. If you wish to republish this recipe, please rewrite the recipe in your own unique words and link back to Smoked Salmon Potato Leek Torta on Simply Recipes. Thank you! Can this be made the night before and then reheated the next day for a party? What temperature do you suggest for reheating? Hi Joanne, you can make ahead and just bring to room temperature for serving. If I were to reheat it, I would reheat it covered in foil in a low temp oven, maybe 200 or 225°F for 10 to 15 minutes. I’m wondering about adding some asparagus. Any thoughts on how that would work? Hi Sara, if I were to add asparagus, I would thinly slice several, blanch them for a minute in boiling water, rinse with cold water, pat dry, and layer them in with the salmon. Delicious flavors! We had it last night with a salad for dinner and it was perfect. I think I’ll cut back the salt next time. Maybe it was the smoked salmon I used. Also, I lost a fair amount of the custard to leakage so next time I’ll try using a cake pan or a pyrex pie plate. Anyway, thanks for the recipe. I will definitely make this again. Tried the recipe and it was lovely – really delicious. Almost reminiscent of a spanish tortilla – in fact it was that which got me thinking…. I learnt recently (from asking a chef at the London restaurant Barrafina) that the secret to a great tortilla was letting the ingredient marinate in the egg for 20 minutes or so. That way the potatoes thicken the egg and it gets perfumed by the other flavours. I tried those tricks for this and it made it even better! If people are interested, the tips and tricks are on my blog http://www.timedeating.co.uk – just search for tortilla! Made this yesterday. I followed the recipe exactly and it came out great. Eating it cold from the fridge was a pleasant surprise…like the best potato salad. Hi Elise, can I make a suggestion? Could you please add, on tour ingredients ‘ list, the amounts in european measures (like grams or ml)? It would be so much easier to make your wonderful recipes, without needing to convert it all the the time! Thank you! I made this for Mother’s Day (intended for brunch, but ended up eating it for dinner) and it was perfect! We needed to cook ours longer, though – at least 20 minutes more. Served it with a salad of mixed baby greens, cucumber, radishes, shallots, goat cheese, and a homemade maple-lemon vinaigrette. Perfect light dinner, followed by a dessert of lemon pudding cake. Looking forward to the leftovers for lunch! Made this Sunday for Mothers day and also had to cook it 15 minutes extra to get set in the center. I had cooked the potatoes the day before and kept them in the fridge overnight. Have to wonder of the cooler potatoes forced the longer cook time. Overall – great dish and I would certainly make it again! Hi Brian, yes I suspect that the cooler potatoes increased the cooking time. This is soooo good!! I made a test-run with none-dairy butter (I prefer the none-soy type) and canned coconut cream, thinned with unsweetened coconut milk, in place of the heavy cream. I used a large buttered Pyrex pie dish with no problems. It turned out great! Some other nice things, are that it slices and serves-up beautifully and it may even be better cold!! No kidding, I think I actually like it best cold. None the less, it will probably served warm from the oven tomorrow, along with sliced avocados, cucumbers and tomatoes and a selection of olives and green onion, carrot and celery sticks. Kudos Elise!! This will be made often, as in addition to being so, so good! it comes together pretty fast, clean-up is easy and it looks so pretty on the plate! I’m so glad you made it Sandy! It is good, isn’t it? Thanks for testing with your substitutions, for those who can’t eat dairy. Just happened to have some leeks and left over salmon, and this recipe was excellent. Btw I also like your new photography. Is there a substitute for heavy cream that could be used? I was thinking of plain greek yogurt. Hi Chris, if you try it with yogurt I would use yogurt that has been thinned a bit with water so that it is the consistency of cream. If you try it this way, please let us know how it turns out for you! Thank you, I’ll let you know! This looks so delicious! With so many of my favorite ingredients in it, I am wondering why I have not tried something like it before? Bravo for adding the dill! More and more, I like dill in potato and fish recipes, though I might not have thought to add it to a smoke salmon recipe, Will give my hand to a dairy free/un-sweetened coconut milk version this week-end and see how it turns out. We have a favorite cucumber and capers sauce recipe, that can be made with either yogurt or sour cream and might be a nice accompaniment. This is pretty much exactly what we in Sweden call “salmon pudding”, and it is traditionally served with clarified butter, which makes this wonderful dish even better.